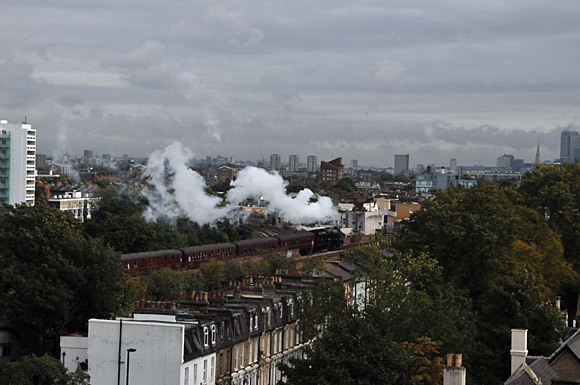 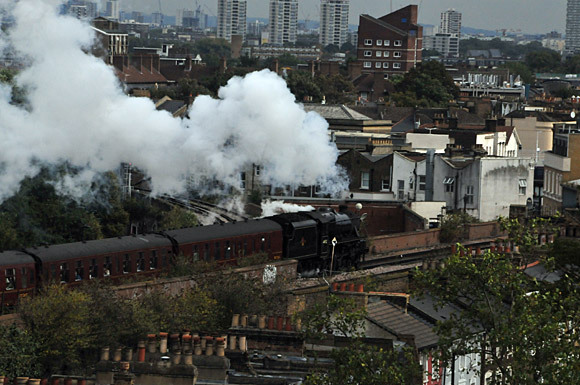 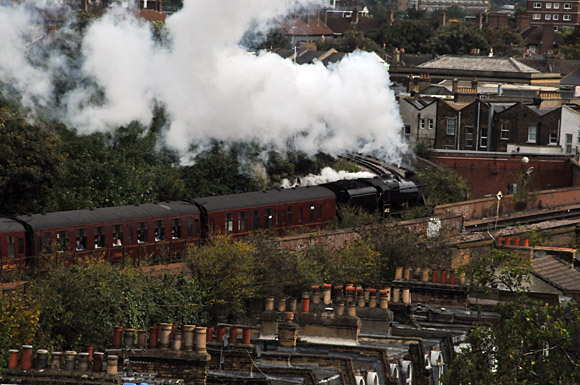 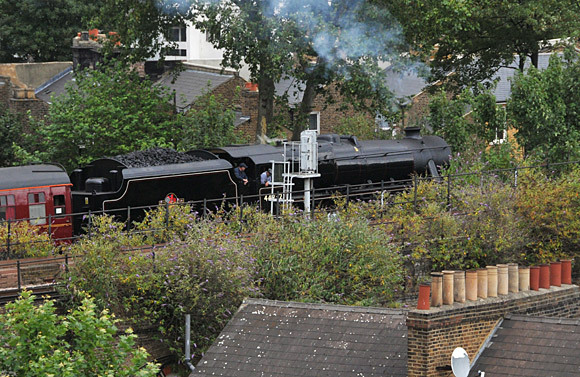 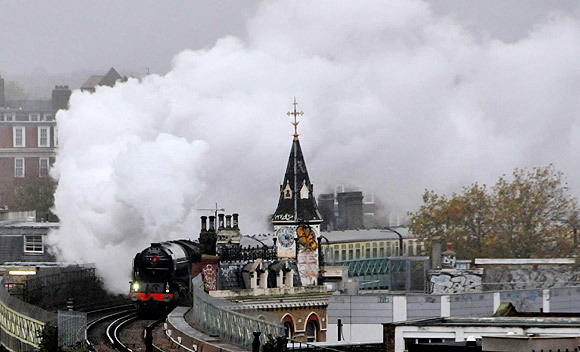 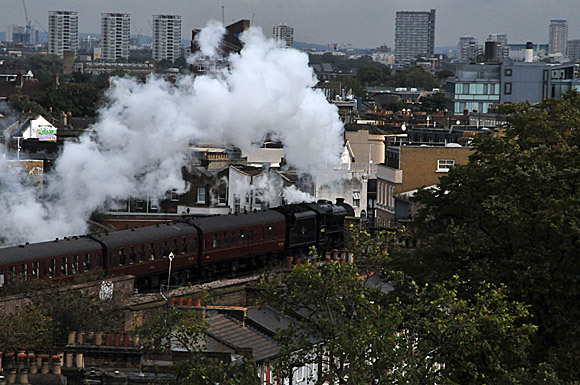 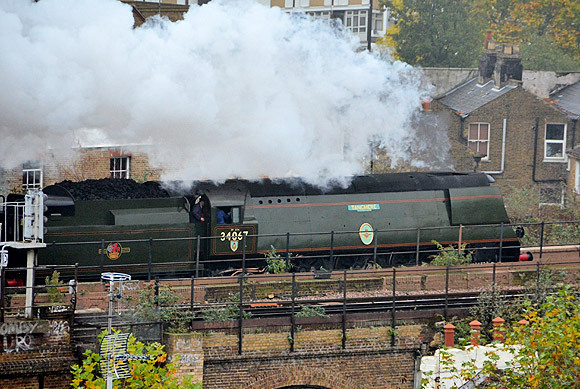 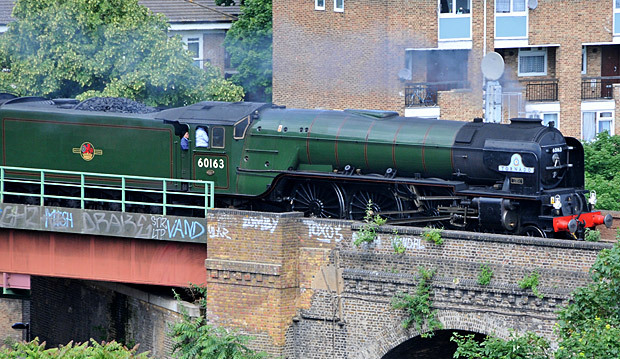 Very few things give my morning coffee an extra bit of kick than the sight and sound of a steam engine thundering past, so I was delighted to hear the mournful wail of the whistle of a LMS Stanier Class 5 locomotive in Brixton. 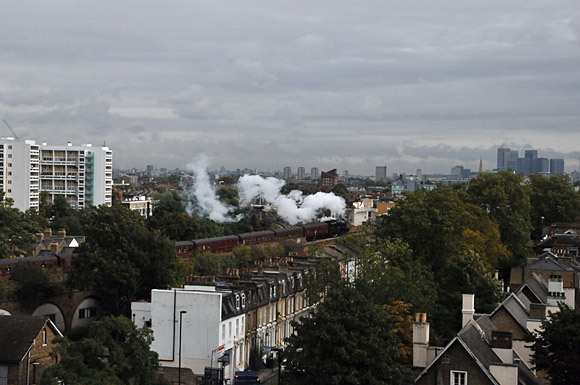 Legging it to my window with my camera (and forgetting to change the ISO setting down from 6400 – doh! 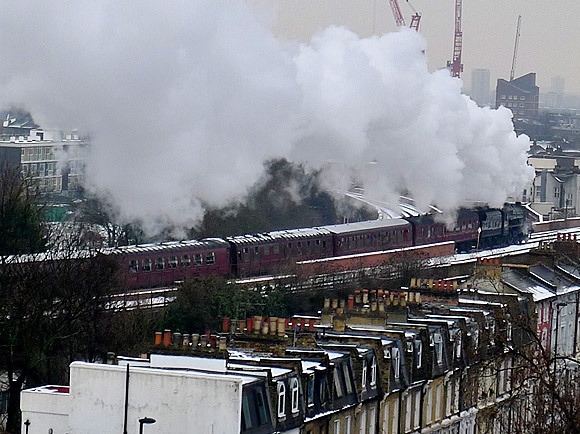 ), I caught sight of this magnificent loco pulling a rake of BR Maroon coaches. 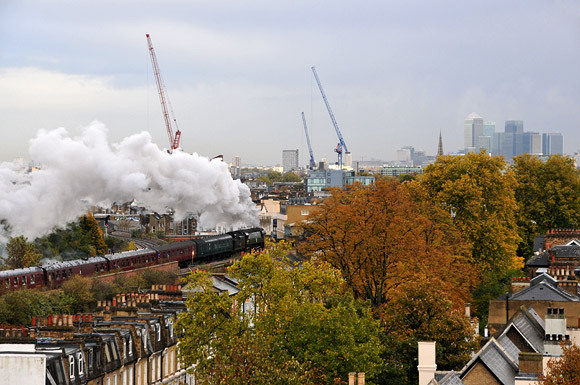 Not as fine a sight as a GWR Castle thundering along with a set of chocolate and cream coaches of course, but a lovely vista, none the less.